Our range of products include industrial mild steel channels, ms channels and mild steel channels. Industrial Mild Steel Channels offered can be offered in finish size options up to 400mm*104mm with wall thickness of 4.5mm-16.5mm and length options from 1m to 12m as demanded by the customers. 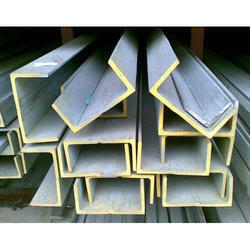 These quality finished channels can be made available as per industry standards like ASTM, BS, JIS and others. 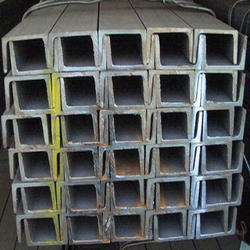 Some of its features include quality hot rolled finish, finding use in fabrication of steel structure, in bridges, for automobile chassis and others; allows easy work-ability including forming, cutting, welding and machining support; choice of hot dipped galvanized, pre-galvanized, coated and other finish as per the requirements. We are offering these MS Channels in different specifications to suit the client’s varying requirements. Precision engineered, our offered range of Mild Steel Channels has fetched wide appreciations among our customers. These mild steel channels are highly appreciated by our clients for their quality, corrosion resistance and tensile strength. Mild Steel Channels offered comes in quality construction finish and as hot rolled steel channels these can be made available in different finish specifications to choose from. With large quantity in stock, these hot rolled mild steel channels can be offered in dimensions of 100*50*5mm; thickness of 5mm and length of 6m. Some of its features include available as per industry standards like AISI, ASTM, BS, DIN, JIS finding use in construction purposes as wall beam, for mechanical column and others, surface finish choices of black/painted/galvanized as demanded by customers.